A half-century after their first single release, Surfin', the Beach Boys continue to define California popular culture and the sunshine-infused sound that will forever be its living soundtrack. But beyond innocent harmonies touting the delights of catching waves and cruising to the drive-in, the Beach Boys are responsible for some of the most sophisticated pop/rock music ever made. Brian Wilson's acclaimed production, the 1966 LP Pet Sounds, was both a creative triumph that inspired The Beatles' best work, and a commercial disappointment that was widely misunderstood by the band's U.S. fans. The Beach Boys followed that with perhaps the greatest three-minute rock single ever, Good Vibrations, which wowed the critics, was a worldwide number one hit, and ushered Brian Wilson down the path of substance abuse and mental illness. Brian then leapt into the abstract madness of Smile, his epic psychedelic masterpiece that was ultimately scrapped in a 1967 sea of paranoia that nearly drowned the Beach Boys as an act. As the 1970s dawned, the endless summer of nostalgia designated the Beach Boys as its favorite sons. They recorded a critically lauded string of albums even while coping with the knowledge that their creative leader, Brian Wilson, had become a semipermanent recluse and a casualty of his own excess. Still, the Beach Boys continued through controversy, conflict, and death, rising again and again to find more popularity and more commercial peaks into the 1980s and beyond. As the new millennium unfolds, the Beach Boys are still here and continue to be a popular concert attraction and one of rock's most compelling and important stories. 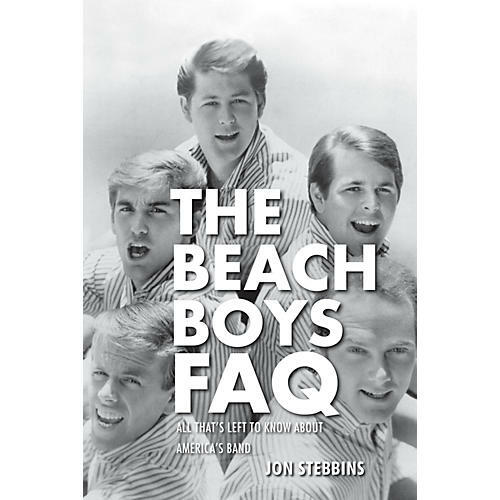 In The Beach Boys FAQ, Jon Stebbins explains how the band impacted music and pop culture. This entertaining, fast-moving tome is accompanied by dozens of rare images, making this volume a must-have for fans.